As some of you might know, I’m currently finishing up my newest book, “Do Meditation”. Other than a ton of pictures having to be taken, the book, for the most part, is finished. Recently, I have been thinking a lot about meditation, partially because I have been finishing the book, but also because I have given a few talks covering the subject. Therefore, I thought “meditation” would be a great topic for this week’s post. As a statistics professor, I frequently get looks of disgust when I tell people I teach Stats. These looks are normally accompanied by, “yuck!” or “I hated statistics!” For the life of me I don’t understand their reactions. Is there a big conspiracy of Stats professors, that I’m not part of, that intentionally makes an exciting subject the anchor for such responses? My classes are very exciting. We, the students and I, have coordination, reflex and head stand competitions. I bring in arrows, atlatls, wolf traps (that I stick my hand in) and various wilderness survival tools. I do magic tricks, I sometimes do a stage hypnosis show and I teach all the students body language to tell what someone is really thinking. I could go on and on but needless to say the students that leave my class at the end of the semester say, “I loved my stats class” when asked. Why? It is the same class everyone that hates statistics took. The students all learn the same material. Believe me when I say this, I’m not some sort of great statistics teacher. Most of the professors I learned stats from are vastly more knowledgeable than I am in statistics and have a lot more teaching experience. The reason they don’t hate stats and in a lot of cases love it, is because I hide it (statistics) in fun. 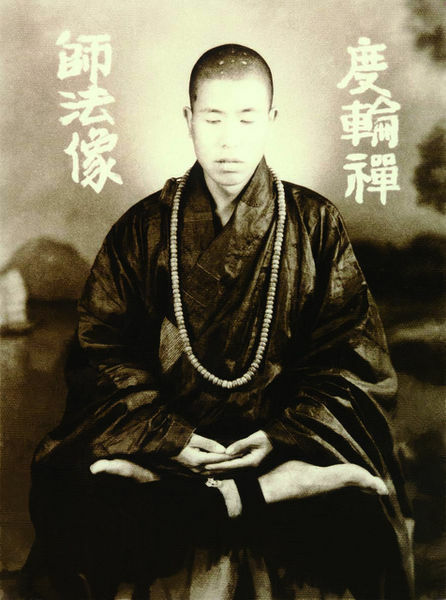 So back to the topic of the post, “What is meditation?” When asked, most people conjure up images of a bald person, with robes, sitting in a very uncomfortable position and gazing at a wall for hours on end. I find that I get similar responses when people find out I meditate every day as I do from people when I tell them I teach statistics. “I hate meditating!” “I’d rather get teeth pulled”. Just see Master Shaffer’s past post. Her feelings are shared by a lot of people. Meditation does not have to be painful or boring. I’ll say it again. Meditation does not have to be painful or boring. It is true that for a large percentage of the population, seated meditation isn’t their idea of fun but here is kicker, you don’t have to sit in front of a wall and/or be in pain to meditate. You can hide it in “fun”! So what is meditation? When we as humans go about our daily lives, our brains exist in a specific state. If we “hooked” someone, in this state, up to an Electroencephalograph, it would show that the person’s brain is producing “beta” waves. These waves are all over the place. Think of a 5-year-old boy after consuming a couple sodas and a bag of candy. So what is “Meditation”? It is ANY practice that moves or forces our minds out of “beta” waves and into “alpha” waves (or Theta or Delta). “Alpha” waves are smooth up and down waves. Think of your grandmother rocking back and forth in a rocking chair. This is the realm of meditation and it is easier to get into than you might think. In addition, just like everything else you do multiple times in life, it gets easier and faster to make the switch with each repetition. So how do we make this switch? Sitting in front of a wall will do the trick but why not go for a walk through the woods or enjoy a freshly cooked dinner or fold a fish out of paper. In the beginning, any practice that slows us down and allows us to be mindful of what we are doing can be used to make the “switch.” Back in the 90’s I attended a wilderness survival class. The instructor was teaching a class on Apache (a Native American Tribe from the Southwest) philosophy. He had a very very old Buffalo hide with a drawing of four nested circles on it. This drawing was used by Apache Shamans to explain the different “states” of mind an individual could dwell in. It was made over a 200 years before the Electroencephalograph was even invented. It is proof that they were aware of Beta, Alpha, Theta and Delta waves, even if they didn’t call them that, before the first car was even made. The reason I bring this up is that they called the “beta wave state”, the “Land of the Living Dead.” They wanted to minimize the amount of time they spent in this “land” and they constantly strived to live their lives in the “alpha realm”. One tool they used for this is something I now cover in every Meditation class I teach. Their term for this loosely translates into, “wide-angle vision”. Basically, it is one of the simplest ways to make the switch, walk slowly and focus on your peripheral vision. So I guess the question then becomes, “Why Meditate?” The answer to that question could be a post in itself. For me, the main reason I meditate is to eliminate or substantially reduce random thoughts. When I eat an orange, I want to eat an orange, not think about bills or what I’m going to be eating for dinner tomorrow. It is truly amazing how good an orange tastes when you” just eat” one. It really amazes me when someone I know tells me how much they love to eat a certain food and when they actually eat it, they talk about all sorts of random stuff and don’t enjoy what they are eating. Have you ever been in a conversation with someone and you can tell they are not even listening to you? They are off in some mental world that is definitely not the one your conversation is existing in. Can you imagine how much better would actually communicate if people “just talked” to the person they were talking to. How many car accidents would we have if people “just drove”? How much better would a high school student’s grades be if he/she “just took exams”? How much faster could I ” just write this post” if my mind didn’t keep wondering to the fact that I didn’t get any sleep last night? You get my point. The more you meditate the fewer random thoughts you will have. There are a lot of additional benefits, but a post on them will have to wait. Something to “just think” about…. 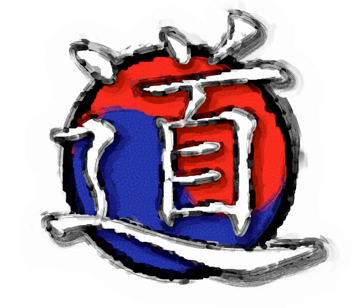 Previous PostWhat is a Kihap (Kiai in Japanese)? Thanks Sir! This couldn’t have come at a better time. I am trying to create a Nativity guided meditation for my middle school kids Crossroads class tonight.